There's nothing like some spectacular art to ease the Monday blues (or blues of any other kind). 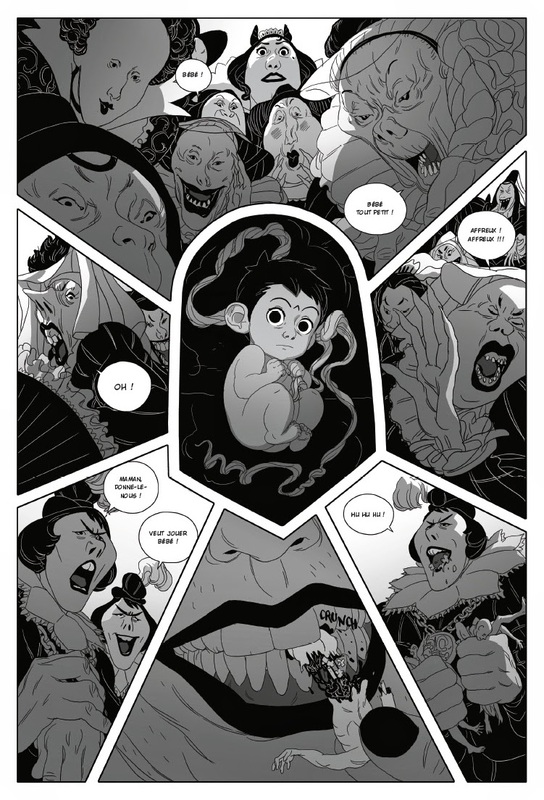 As if there aren't enough comics in English to get through, I like to torture myself by looking at beautiful things I don't understand. 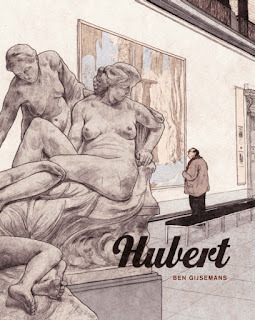 And there's something spectacular looking on its way to French language audiences next month, courtesy of Hubert (Miss Don't Touch Me, Beauty) and Bertrand Gatignol, and publishers Soleil. 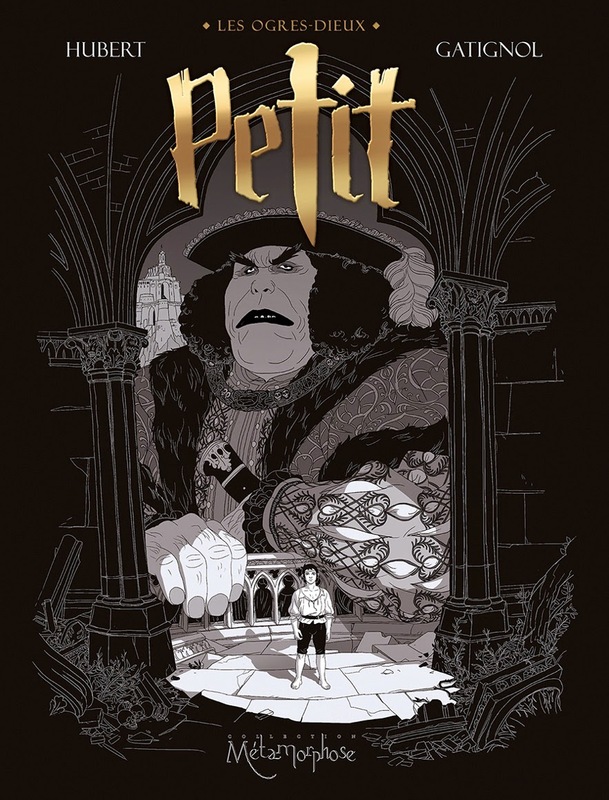 Petit ('little') is the name and story of the youngest and smallest of ogres, son of King Ogre. Barely larger than a human, he carries with him the sign of degeneration that, due to inbreeding within the ogres, makes each generation of new ogres smaller than the previous one. His father wants him dead, but his mother sees him as the potential source of renewal for the ogres, thinking he could mate with a human as the founder of the ogre lineage once did. 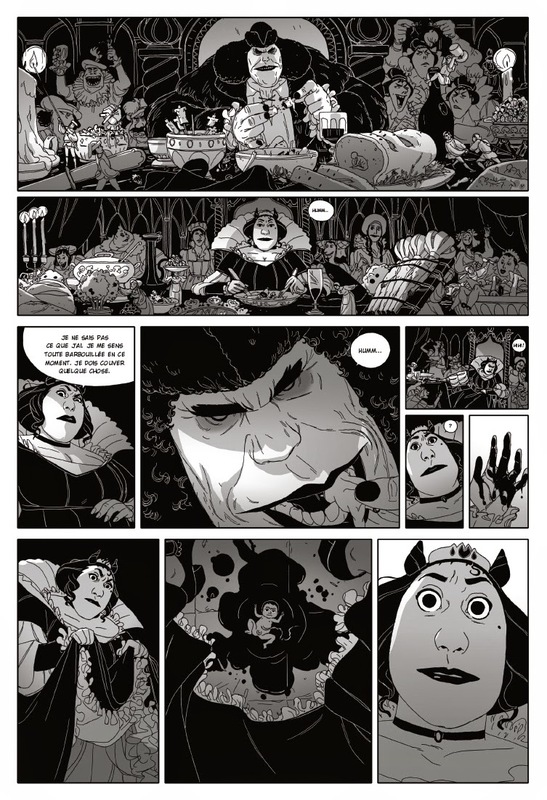 She confides her feelings to Desdée, the oldest of all the ogres, who has been dishonored and banished to a secluded part of the castle due to his love for humans. And so Petit is raised learning conflicted lessons: torn between the violent impulses he inherited and the humanistic education he received from Desdée, amidst a family who would rather see him dead. 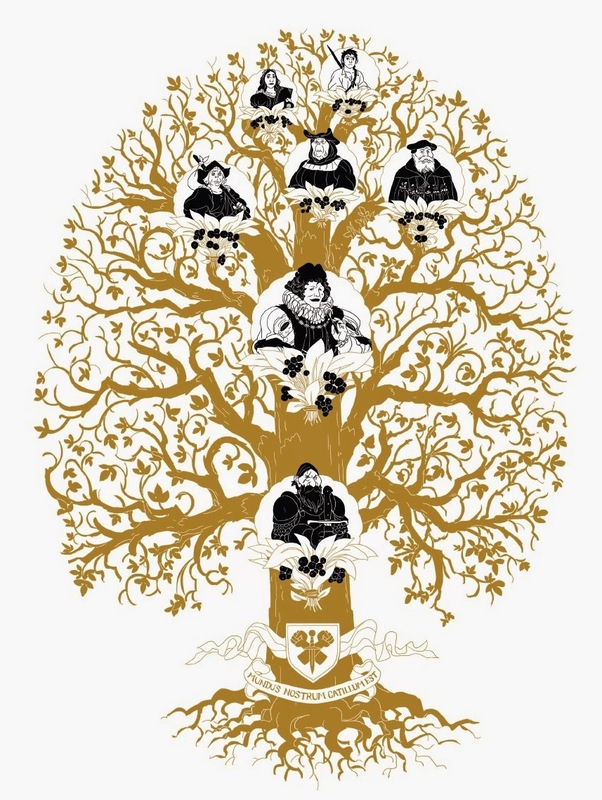 Described as a beautiful gothic tale about family determinism, the book promises to regale the whole history of a family and its members, their customs and traditions. 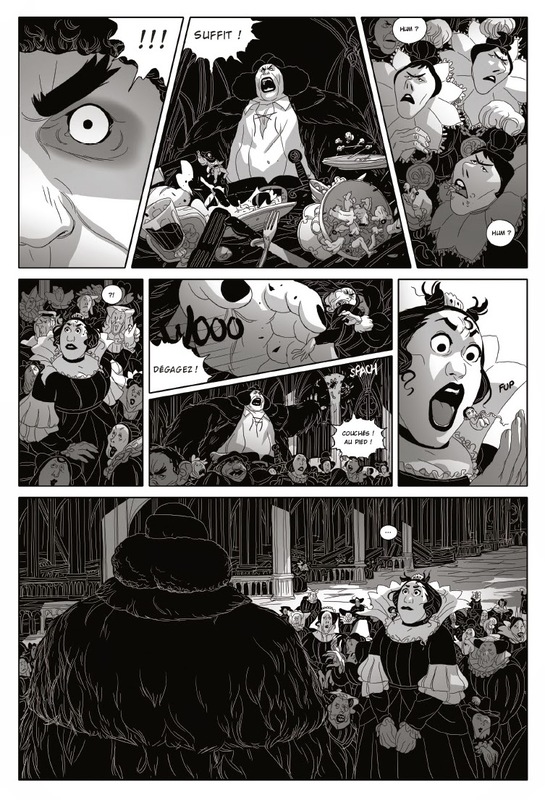 As fun and interesting as it sounds, one look at these stunningly gorgeous black and white pages and that cover by Gatignol are enough to sell it to anyone. 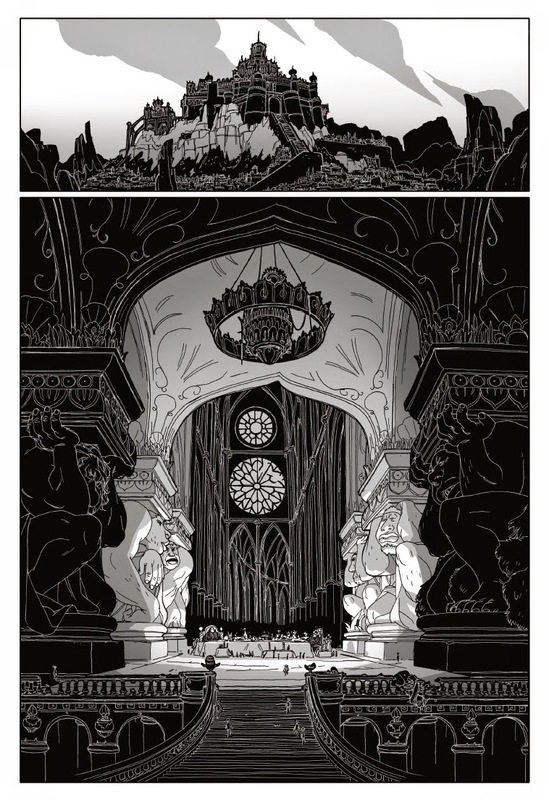 Gatignol works in directing, TV, animation, illustration and comics- perhaps most notably in Le Petit Prince for the latter- and his art, layouts and composition here is as on point as you'll get. A very grandiose and simultaneously ferociousness feeling, a bridled, proud savagery, that he's managed to capture here, which befits the material. I always feel better having seen something as lovely, as alive as this. 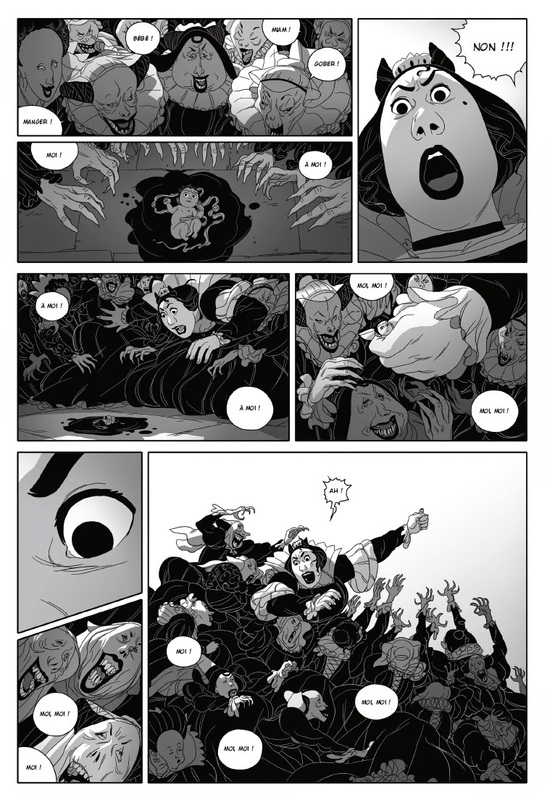 You can find a lengthier preview here. On an aside, that synopsis may be a bit off, as I put it through a language converter and then proceeded to wrangle with it myself, too.